If you are looking for a water purification system for your home, there are several options available ranging from the simple filter jugs to the higher end reverse osmosis and distillation systems. In my opinion, if you are looking to get the purest water possible, then distillation is the option to choose as it removes all inorganic compounds and kills viruses and bacteria as well. We have been looking for a good portable water distiller for use at home for quite sometime as we found out that drinking distilled water is a great way to detox - flush away toxins from our body. 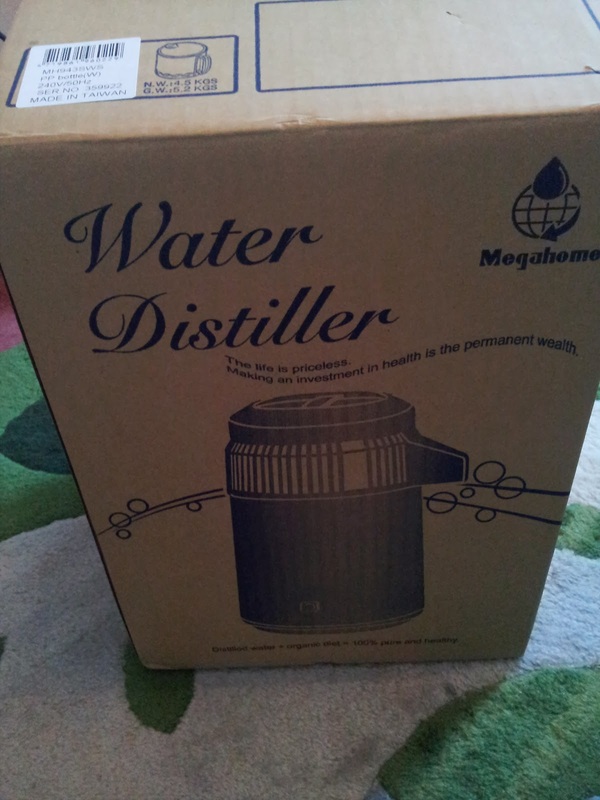 After looking around we finally settled on the Megahome 943SBS Deluxe Water Distiller from the JD Harris site based on the price as well as the recommendations from other satisfied customers. By a stroke of amazing coincidence or good luck, I was offered a chance to review the water distiller and of course, I grabbed the offer. Ordering it on the site was quite easy. You first choose from either the plastic bottle or the glass bottle option. 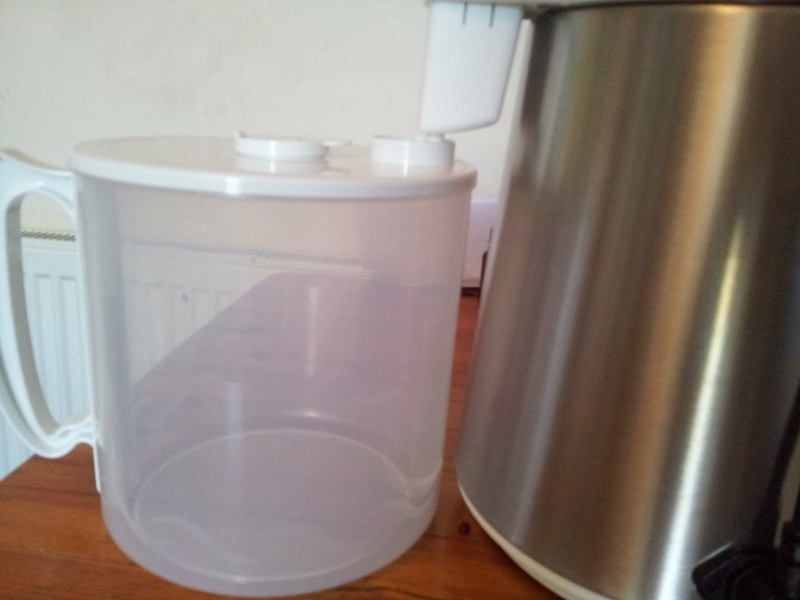 This bottle collects the final distilled water. For the later, you have to add £19.99. You then select the colour - you have a choice of either black or white. They also offer you the option of adding a European 2 pin power pug for an extra £4.80. Next, you select the quantity on the right hand side of the page and then click "Add to shopping cart". Once you are done, you click the checkout button on the top right hand corner of the site. Just follow the steps and fill in your information and you are done. 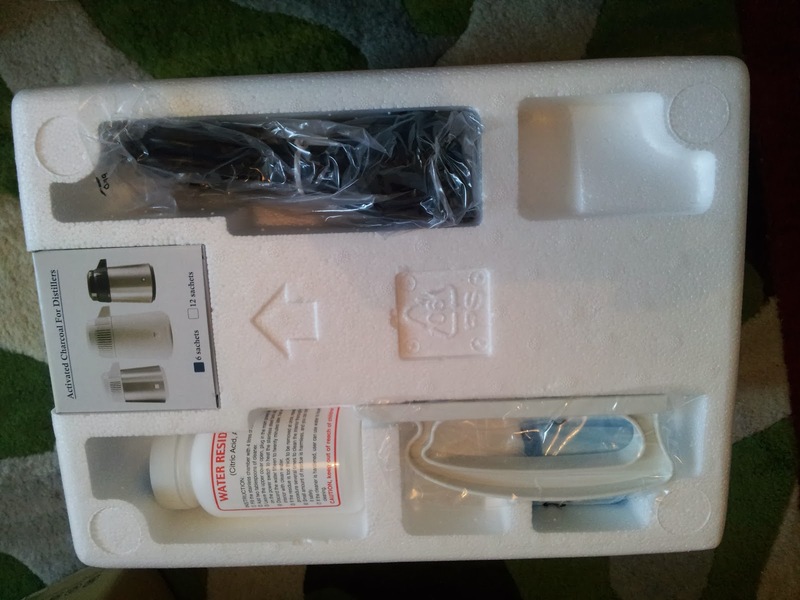 The pack came with 6 active carbon filters, 250g residue cleaner, power cable, and handle for the plastic bottle. 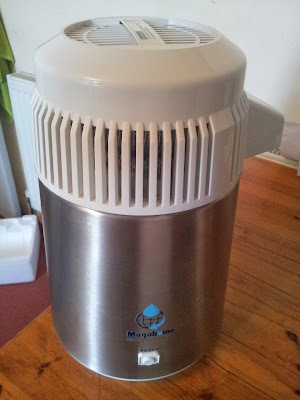 This 4 litre plastic bottle made of BPA-free polypropylene, fits inside the distiller (with the handle removed). The activated charcoal filter. Are 3 filters too many? Now all set up and ready to go. 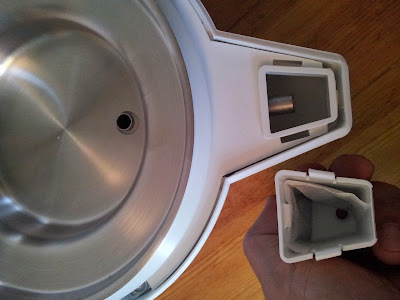 The mechanism is quite simple: water is heated up and the steam rises to the top where it is cooled and condenses (with the help of a cooling fan) and is collected. The water then drips into the jug. 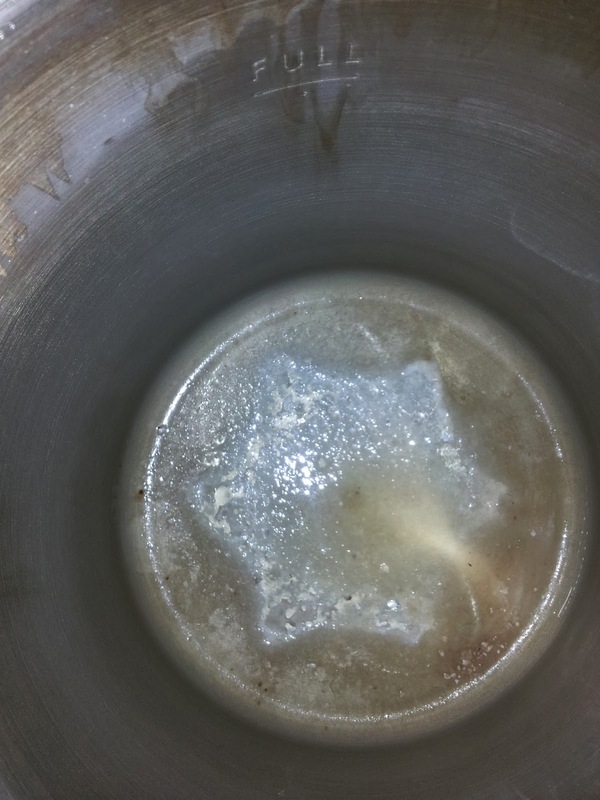 It took about 5 hours to distill 4 litres of water. 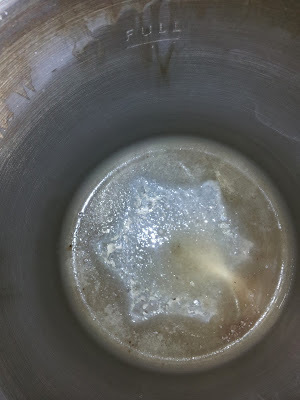 However, the time taken is halved if we use water which is preheated. Just check out the lime build up inside the distiller after only 4 cycles of use. The JD Harris site has a page taking about the myths about drinking distilled water. It was assuring to read that none of these have any scientific basis. The cost of distillation is estimated at around 7-9p a litre which comes out much cheaper than buying bottled water. The water tastes slightly different to the normal filtered water but we soon got used to it. We will never go back to drinking tap water again. This is definitely one of the most useful gadgets I got in 2013. Every house should have one. The distillers normally retails for £199.99 but it is currently going for only £149.00 (which includes a lifetime moneyback guarantee) on the JD Harris site. 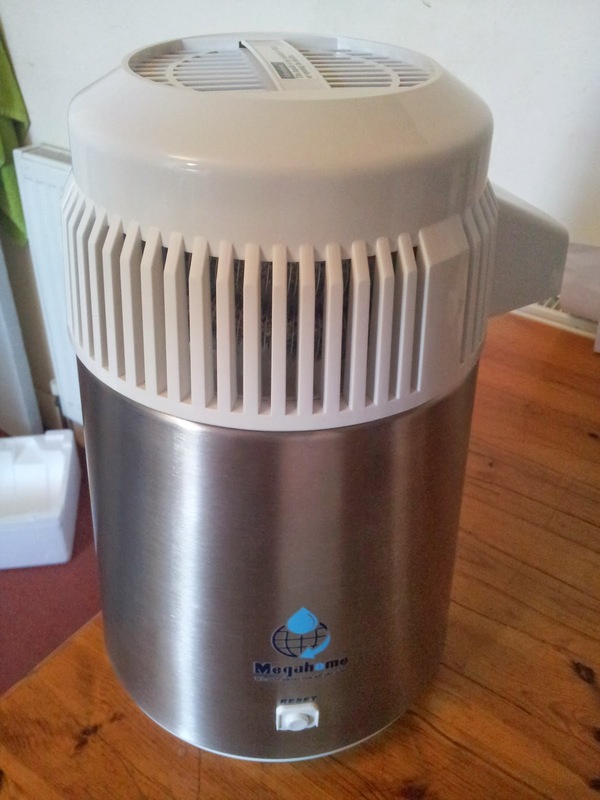 Here is a video with shows how to use the Megahome water distiller.